Workshops are also conducted for Post graduate students of Biotechnology, Bioanalytical Sciences, Herbal Sciences & Environmental Sciences. 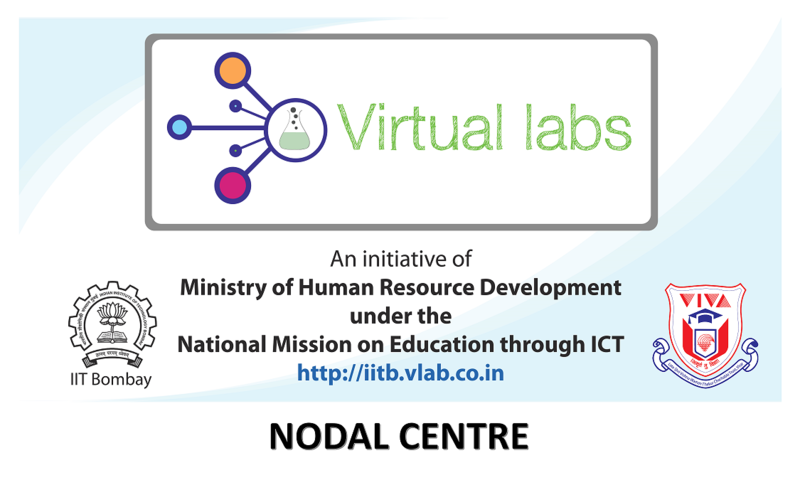 Students register on the Virtual Lab portal using their Gmail ID which makes them accessible to the various laboratories available with the Virtual Labs. There are total more than 23 labs available for Life- Sciences students, 09 for Physical Sciences, 11 for Chemical Sciences and 23 for Computer Sciences and also engineering students. Students are encouraged to visit these labs and make them understand the practicals related to their subjects which are otherwise not repeated. Since dissections are now not allowed the same can be taught to them virtually with the help of these laboratories. Students get to see and understand the practicals as many times as they want to. There is mechanism of feedback also which is then sent to IIT, Bombay for further development of the laboratories. The Nodal centre also has a plan of processing and developing similar simulation labs in the subjects of Botany, Biochemistry, Biotechnology, etc. in collaboration with IIT Bombay.